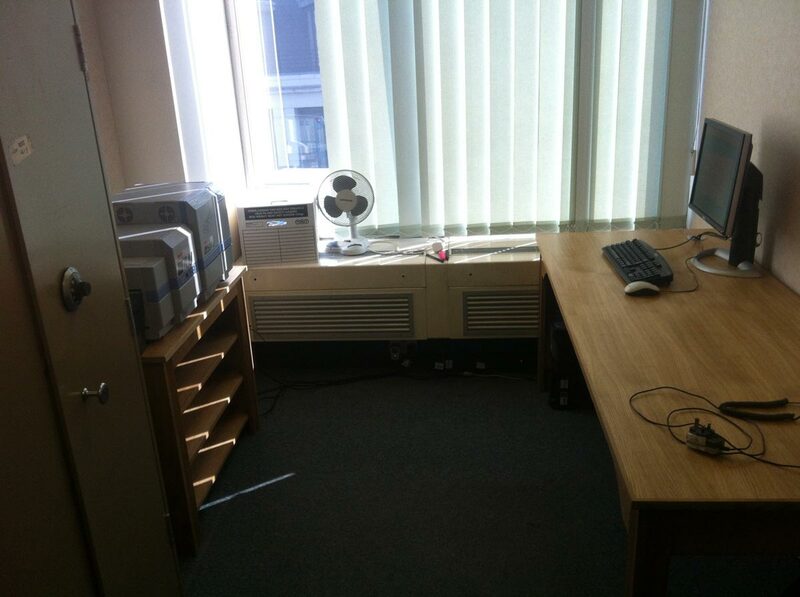 This office is used for giving security clearance and passes to members of the Metropolitan Police. The furniture here was made to match the furniture made several years before in another office along the corridor. The tables and bookcases (there are actually two identical rooms) are each made of solid oak, and are finished with a hard-wearing wax.